This ghostly version of the 500 Pound Spiked Crusher is dressed up for Halloween and ready to frighten some mice! The Ghostly Spiked Crusher Skin can be used on the 500 Pound Spiked Crusher. The trap's stats (power, power bonus, attraction bonus, etc.) are not changed. The Ghostly Spiked Crusher Skin may be made available during the annual Halloween event and can be traded on the Marketplace or through Give To Friends. 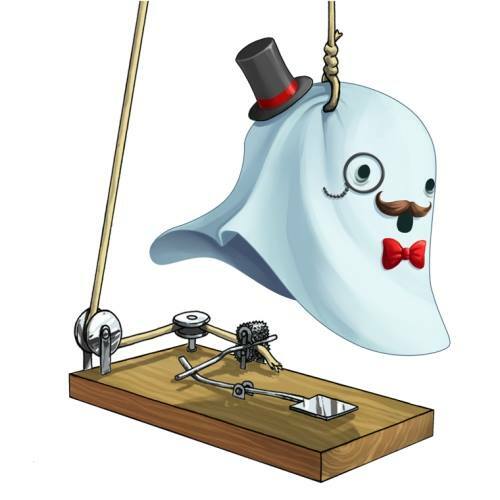 17 October 2013: The Ghostly Spiked Crusher Skin was released at the start of the Halloween 2013 event. It was available for purchase for 1,000 gold and 2 Cobwebs at the Haunted Terrortories Trapsmith. This page was last edited on 9 December 2017, at 12:16.